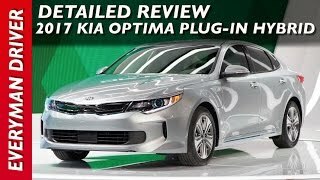 Kia Motors America (KMA) brings the all-new Kia Optima Plug-in Hybrid 2017 with better Fuel Efficiency than that of the Kia Optima Hybrid. Plug-in Hybrid is a critical addition in making it a fuel efficient model. 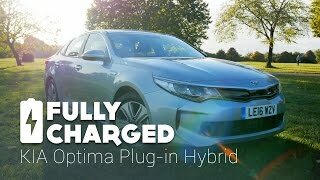 Let us have a close look at the review of the Kia Optima Plug-in Hybrid 2017 and get to know more about the superior model. Engine: 2.0-liter "Nu" four-cylinder Gasoline Direct Injection Engine. The interior of the Kia Optima Plug-in Hybrid 2017 has a numerous styling features. Its cabin include the Android Auto and Apple CarPlay capability, a Verizon connectivity system and smartphone app with LTE wireless that features remote start/stop and remote cabin temperature setting. There is a sound system with 10 speaker setup and 630 watt digital amplifier. There is more usable cargo space than the previous optima and 60/40 split-folding rear seats. It also contains autonomous emergency braking, blind-spot detection, lane-departure warning, front-collision warning, and advanced smart cruise control. 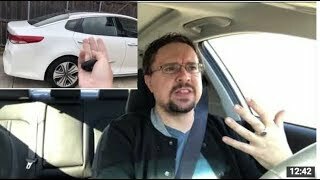 Thus concluding the interior details of Kia Optima Plug-In Hybrid 2017 I would say that the model will offer you innovative safety features and a comfortable ride. The exterior of Kia Optima Plug-in Hybrid 2017 is glamorous in look. The front fascia contains the active grille shutters, aero-enhancing wheels, complemented modern LED lighting, chrome side sill molding, and 'Eco Plug-In' badging. There is also an integrated decklid spoiler and a bespoke rear diffuser that also hides the exhaust outlet. There is also a beveled rear bumper, a rear diffuser designed to streamline airflow by shrouding the exhaust tip, and an aerodynamic alloy-wheel design. 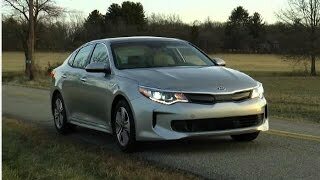 Thus rounding up the exterior details of Kia Optima Plug-In Hybrid 2017 I would call it gorgeous with its sportive and elegant appearance. 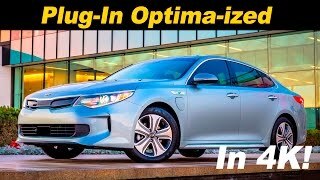 In order to have a heavy power output Kia Optima Plug-in Hybrid 2017 is being engineered with highly efficient 2.0-liter "Nu" four-cylinder engine. Electric power is produced by a transmission-mounted 50 kW motor, which is 42 percent more powerful than in the previous Optima Hybrid to allow for greater all-electric capability. The performance figures of Kia Optima Plug-In Hybrid 2017 are yet to come.